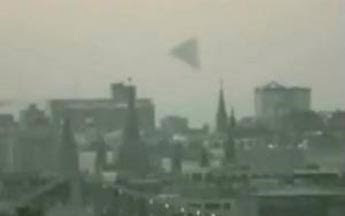 Interlocutor: Here I have the picture from a video of a triangular UFO sighted in Moscow in December 19, 2009. Is this picture real or false? Ruanel: It's real, as well as the picture taken in China in July 2010, both images are real. However, the authorities of both countries are somehow denying those events publishing, first in Russia obviously; that the photos are fake, they are trying to hide the truth from those readers, so that they believe that the images were false or that the ships were terrestrial and there was a misundertanding. Interlocutor: Okay. Are the authorities from Alamo Gordo or Area 51 involved in this case? Interlocutor: Are the governments of Russia and China in contact with extraterrestrials? -I’m trying to convey the idea to the vessel- These ships have an invisibility field and anti-radar field. I mean, the fact that they were sighted implies that they were not interested in hiding; in addition, they know about the great skepticism of the people on this planet. Interlocutor: Yes, somehow they count on that, Can you can tell me where these ships were coming from? Ruanel: The ships were completely different. The UFO sighted in Moscow came from a world which is at 600 light years and its name is quite difficult for the throat of this vessel to pronounce. 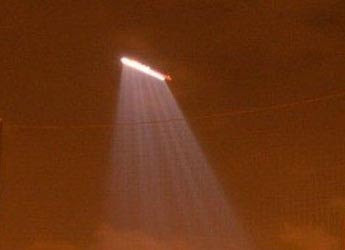 The UFO sighted in China was coming from closer a world at 38 light years from here. Interlocutor: Were these aliens grey? Ruanel: Yes, both races, but the aliens that appeared in China are a little bit taller and their skin is kind of brownish. This entry was posted at Monday, August 02, 2010 and is filed under Extraterrestrials . You can follow any responses to this entry through the .